Elegant silver metal tray for candle or trinket display. Vintage style for a French shabby chic home decor. Perfect candle plate for displaying scented candles, tealights or use as a trinket or jewellery holder. A great idea for use as part of a wedding table display. 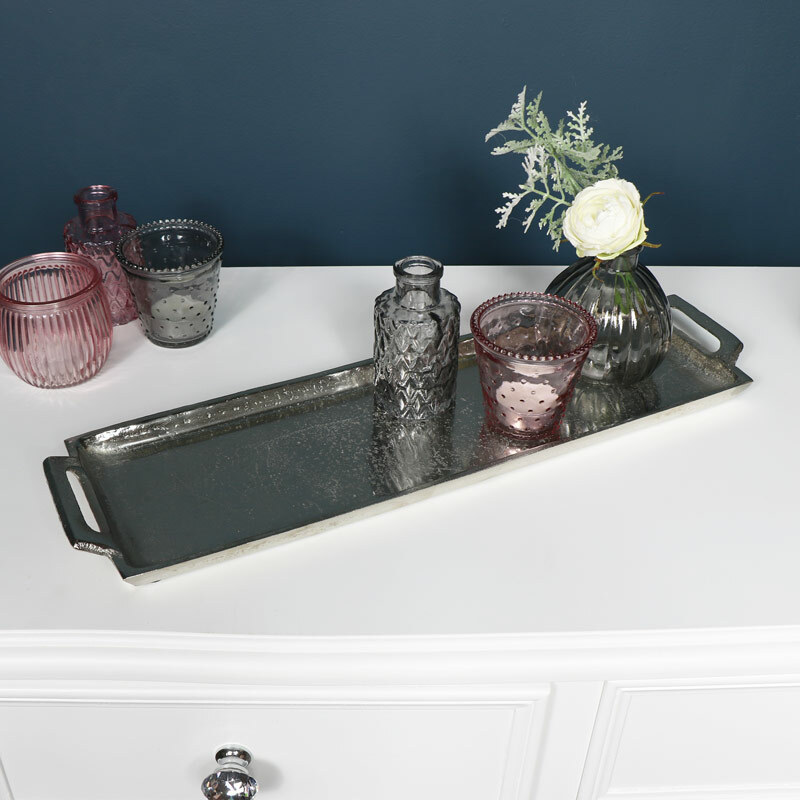 A stylish, pretty and practical little tray with so many uses. Just one of many we have to offer. Elegant silver metal tray for candle or trinket display. Vintage style for a French shabby chic home decor. Perfect candle plate for displaying scented candles, tealights or use as a trinket or jewellery holder. A great idea for use as part of a wedding table display. 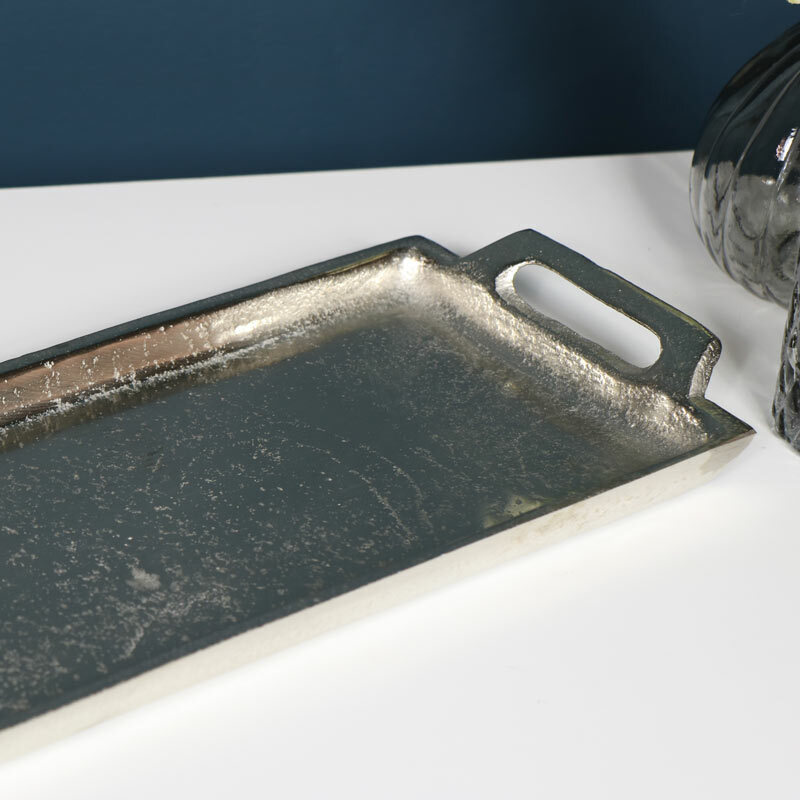 A stylish, pretty and practical little tray with so many uses. Just one of many we have to offer. Made from silver aluminium with mottled effect. Cushioned pads on the bottom protect surfaces. An excellent addition to our extensive range of gifts and home accessories.